With the holidays quickly approaching, I'm greeted in every store with holiday themed items. People will be going to Christmas parties and family events, which means lots of pretty dresses, sparkly shirts, and lots of bling. I'm not that much of a girly girl, but I do like stuff that's shiny and sparkly, whether it be some form of jewelry or makeup. I recently came across the company Simplyeartha... a line of accessories that say something. They're little reminders that you wear, a form of inspiration at your fingertips. Kitt Shapiro's company is a tribute to her mother's wisdom and beauty. Yes, Eartha was her given name. 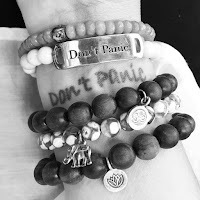 I received the bracelet that says "Don't Panic". 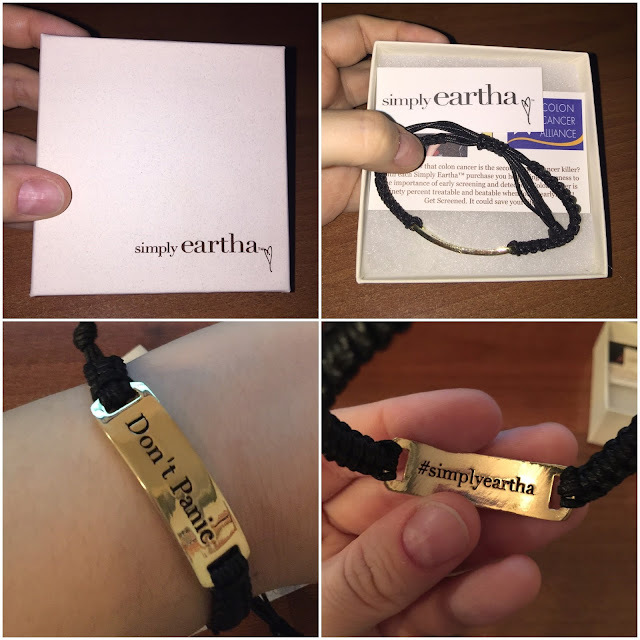 This bracelet is available in a few colors, but the one that I received was the Black/silver. It's a bracelet that can be worn by both men and woman. The cord is black, that can easily adjust to any wrist size. The part that has the wording is silver plated, and is nickel free and made in the USA. 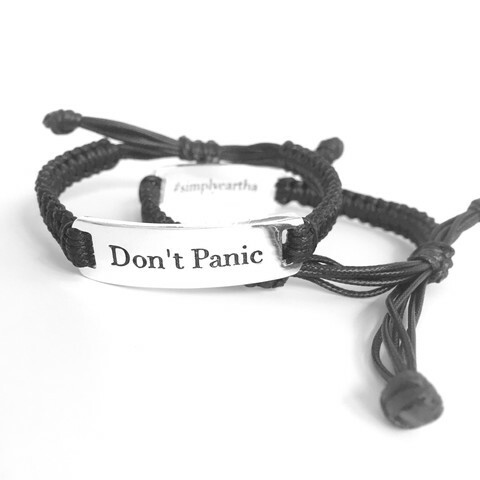 My mother would say "Don't Panic. It doesn't chance a thing, and only clouds our ability tothink clearly." For me this is the perfect bracelet to wear, as when my anxiety is high... I have to tell myself not to panic. I would love to have this bracelet in a few different designs, so that I could wear it daily. The one that I received probably wouldn't be the best to wear on a daily basis, as it would most likely wear out with normal wear and tear. I wish that they made one that's sterling silver or gold, not plated... hint! hint! to the company! Interested in grabbing one? Of course you are... click here! Interested in checking out their Facebook, and Twitter? Of course you are, you never know when you may come across a deal!